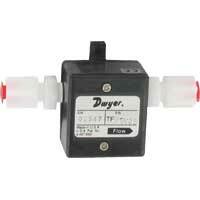 Flow Transmitter are sensors with an electrical transmission output for remote indication of flow rate. The different transmitters are Ultrasonic, Paddlewheel: in-line, adjustable and fixed, electromagnetic: adjustable, in-line and fixed, and turbine: in-line. 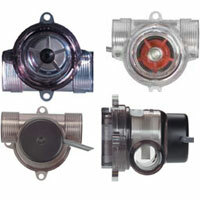 Accessories and Fittings for these flow transmitters are also in this category. 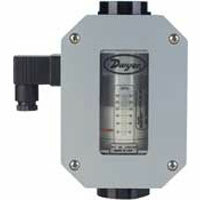 Ultrasonic flow transmitters are sensors with electrical transmission output for remote indication of liquid flow rate. Models are cost effective, compact, and lightweight. Applications include treated water, river water, diesel oil, datalogging, flow measurement for heating metering, and utilities billing. 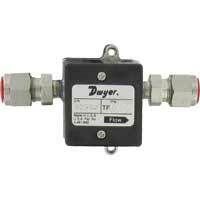 Electromagnetic flow transmitters are sensors with electrical transmission output for indication of liquid flow rate. Adjustable insertion length models are available. This liquid flow meter that uses a magnetic field to measure flow. Applications include municipal, industrial, irrigation, and conductive liquids. Rotating paddlewheel flow transmitters are sensors with electrical transmission output for remote indication of liquid flow rate. Fixed insertion length models are available in this category. 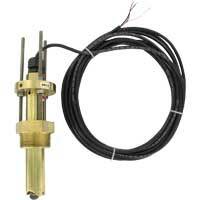 Also available are fittings and tees that allow the accurate sensor to be inserted in a wide range of pipe sizes.